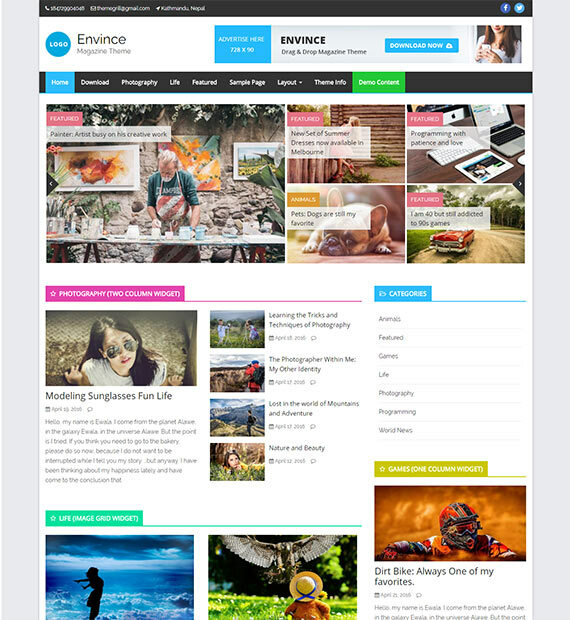 An awesome Free WordPress magazine theme by ThemeGrill, Envince is one of the best out there. The Bootstrap 3 powered theme is an advanced and feature-packed theme that will surely take your site to the next level. The easy drag and drop Page builder makes the creating and customizing process whole lot easier and makes the theme more user-friendly. The overall modern and creative design of this theme adds the extra touch of professionalism to your site!